The purpose of physiotherapy is to restore movement, maintain mobility, improve daily function and optimise performance whatever level of work the horse is currently participating in. Physiotherapy is an intrinsic part of the rehabilitation process when the horse is recovering from injury, surgery or trauma to restore normal joint and muscle function therefore optimising movement and recovery. 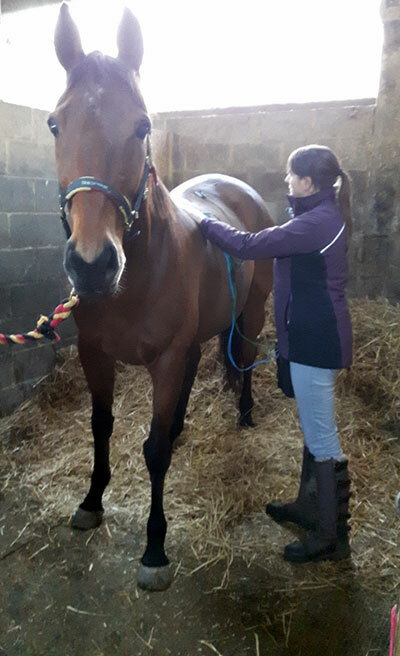 Core Equestrian Physiotherapy is a Chartered Human Physiotherapy and Veterinary Physiotherapy Practice having trained and gained many years of experience working in the human and equine physiotherapy field. The considerable experience gained in the human and equine field means your horse will be provided with a specialist and personal physiotherapy assessment and treatment service. Initial assessment and treatment approx 1-1.5 hours £60- £65 plus travel. Follow up assessment and treatment approx an hour: £55 - £60 plus travel. Kate is able to treat horses under sedation in conjunction with Veterinary attendance. Sedation treatments are highly effective when a more intensive Physiotherapy session is required. Not sure if your horse would benefit from Physiotherapy? Call Kate on 07957 344 688 to discuss your horse’s needs.